We had Finley's first appointment to fix his foot on Tuesday. I had been kind of anxious leading up to it. Finley had not. I had lots of feelings running around... I felt slightly guilty for not giving him enough room to grow, very selfishly sad that he wouldn't be as cuddly as he was, and brokenhearted that my baby was going to have a cast. The appointment was really good--I was definitely the bigger baby out of the two of us and cried the most. He squawked a little bit when the doctor was turning his foot into place, but doesn't seem to mind the cast at all. I don't think he even knows it's there. He can't curl up in his favorite position, but he really seems unaffected by it. He has rolled over from his tummy to his back 4 times--I think the cast gives him some extra oomph, and Sol thinks he is a superbaby. He'll be in the cast for 2 to 3 months, and he gets a new little cast every week. After that he'll probably have a brace that he wears part time. The cast is also an excellent handle for carrying him around. And the cast is adorable. Everything baby sized is just precious. On the way home from the appointment... if anyone asks, we're telling them that he hurt his leg saving other babies from a burning building. We decided Finley needed a treat for being so good at the doctor... so we took him on his first trip to Chipotle. Sol's sister Lili gave us some baby legwarmers... we're using them to cover the cast so he doesn't scratch it on his other leg. Courtesy of my sister and brothers, here is the new exercise routine that Sol will be using to get back into shape. Pregnancy is hard on a man. Disclaimer: the video is on collegehumor.com and my mom's work thinks it is an"adult content" site... maybe wait until you get home. Here's the important stuff. Finley David Scott showed up today and he weighs 8 lbs 9 oz and is 21 inches long. And he is so cute. I was induced this morning at 6 am and by 12:17 he was here! The labor went way faster than expected, which caused the epidural not to work, which in turn made the painful part even quicker. So that was good. It was not near as bad as it could have been and we couldn't be more in love with him. He's adorable. "For you formed my inward parts; you knitted me together in my mother’s womb. I praise you, for I am fearfully and wonderfully made. Wonderful are your works; my soul knows it very well." The Lord created Finley perfectly and we are pretty much obsessed with him. Sol likes him because he's really tough. I like him because sometimes he sneezes and sometimes he holds his hands by his face. It's precious. Heroes and Gossip Girl are new tonight. We'll keep you posted. Please keep our health and the baby's health in your prayers. I'm off to plan our last few hours as a twosome. More good news: the hospital has wi-fi. You know how it's really exciting to go to bed the night before Christmas (when you are a kid, of course, not now)? Well, eventually it gets a little old when the next day is NEVER Christmas and you keep thinking it will be. So we went to our appointment yesterday with Dr. Two. 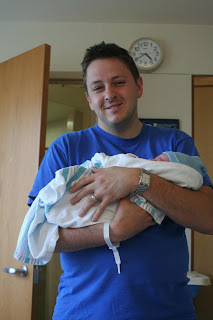 Dr. One had a baby last Saturday so we got reassigned to a new doctor, which I didn't really mind. Dr. One had mentioned that I might be a little small to deliver a baby that was close to 8 lbs, so we were anxious to see how big he was. Dr. Two estimated he was 8 lbs 2 oz and agreed that my hips were a little small. Then she decided we should probably go straight to the hospital to monitor the little guy because he wasn't moving much (I am pretty sure this is because my uterus is completely full of baby). And she was thinking that we might need to a c-section this weekend because he was getting so big. Yikes. So we went to the hospital to meet with... Dr. THREE!!! Dr. Two was not the on-call OB this weekend, so we got another new doctor. After being monitored for awhile (the heartbeat was great and I apparently am having contractions, even though I can't feel them) they sent me to get another major ultrasound. It took forever because they couldn't tell if he was moving or breathing... eventually they decided that there was just no space for him to move and he was fine. 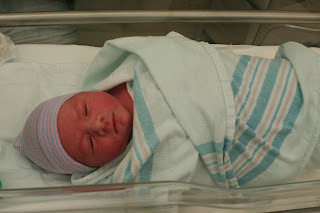 Oh, and they think he is 8 lbs 8 oz. Great. We finally met with Dr. Three, and she felt like my hips were "quite roomy" and that we could just wait until Wednesday (which would be 41 weeks)... so at this point I had been at the hospital for about 5 hours and pretty much broke down. 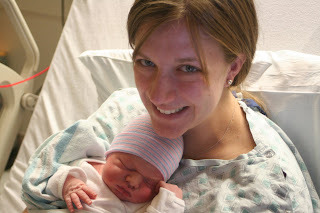 I don't really deal well with not having a plan, and I had adjusted to the thought of needing a c-section and the baby coming soon and now I was hearing that we could hold off for 5 more days. They should not let pregnant ladies make decisions. Pretty much I just cried and told Sol to figure it out. He's a champ. Oh, and the appointment I would have next week is with a new doctor, let's call him Dr. Four. That upset me slightly too. It was getting really hard to hear different opinions from every doctor and have to re-explain everything every time. So I think we are going to try to make an appointment with Dr. Three first thing Monday and make a plan--whether we are going to induce or go with a c-section. I have very conflicting opinions on whether or not the baby will fit... it's really hard to decide what to do. But I'm pretty sure he gets a little bigger every day and it isn't going to get better. So unless I go into labor this weekend, he'll probably be here around early next week. I don't really mind waiting, I'm just having a hard time to adjusting to plans changing so often! I think my mom has bought like 7 different plane tickets to fly out here... sorry mom (and Laura who will likely have to change her flight too). But, I feel fine. Concerned about the mammoth baby growing in my belly, but fine otherwise. We are just going to enjoy this lovely weekend and cherish the extra time we have together before our large, stubborn, big-headed baby arrives. Sorry if I concerned anyone last night, hopefully it meant you were praying for us and we do covet that. So please keep praying that we can relax and make good choices about what to do get our kiddo here. There's officially no room in the womb. Let me introduce you to my best friends during pregnancy. They are also Copper's best friends. Anytime he sees me putting on the running shoes he goes completely insane. It made it difficult to go do yardwork because he would jump on me and cry until I caved and took him running. This is my other best friend, the Garmin. According to the Garmin, I have run 230 miles during my pregnancy. The Garmin also tells me (much to my chagrin) that I declined from an 11:00/mile to a 13:00/mile before I stopped. Slow. May I remind you, that to qualify for Boston I have to run 8:20s or something like that. Yikes. I didn't run the first 4 months because of a stupid IT band injury, and I stopped running 13 days ago (not that I'm counting). So by my fancy math, I ran roughly 12 miles a week up until a stupid hip injury made me stop again. I'm going to have my body checked out after I give birth so I stop hurting myself. Don't tell Coach Hasenbank, but it's probably because I don't stretch. Or cross-train. Or cool down or warm-up. Or do any sort of weights. Maybe I don't need to go to the doctor. I really miss running and hope I don't have to wait too long after delivery to start back up. The jogging stroller is itching to go. Also, I registered for the Marine Corps Marathon in October, so I have to start training. I think they have a special Boston Qualifying time for people who gave birth in the past 6 months. I am going to qualify for that stupid race someday. Other things I should quickly mention. 1. I have a Dr. appt tomorrow. This will be the last one with my doctor since she is giving birth on April 15th (my due date). So unless he comes soon, I get a new doctor. 2. I really love Benjamin Linus and am really happy that it looks like Penny is not dead. That means I also love Desmond Hume for pummeling Ben so he couldn't hurt Penny. I'm a little concerned that Ben killed Charlie 2.0 though... what else could he be apologizing to Desmond for? 3. Our stupid DVR only recorded the first 3 Idol performances. Irritating. But it was time for Scott to go. And I'm glad Lil was in the bottom 3, she needed a kick in the pants. 4. My dog conquered Sol. I'm on spring break this week, patiently waiting for the baby to come. That means I probably will continue to post random things as I think of them, knowing that it will slow down when he comes. 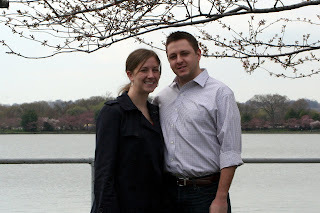 This weekend, Sol took me on a mini-vacation to our nation's capital. It's just down the road. We sat in the grandstands to watch the parade. Here is our favorite insurance commercial mascot and four presidents with large heads. More importantly, they are riding in... "Stars Hollow's first PEDI-CAB!!!" Not really. Man, I miss that show. Sol is not letting me name the baby Rory. Although one of the current top names is a variation of a MINOR character from Gilmore Girls... You guessed it. It's Doyle. Then we walked down to the river, the trees really were pretty. I scanned the crowd for people with SLR cameras and recruited them to take our picture. Not always a guarantee. Picture taking was also difficult because there were 8 million people down there. Last year I was visiting Sol during Spring Break during the festival. It was a yucky day and the trees had not bloomed yet. This year was much better. I think I lost those earrings. Dang it. So here's something really important that you must know about. I feel like a lot of my time has been wasted because I didn't know about the wonders of RSS. Sol and I buy A LOT of stuff on craigslist. Like, every single piece of furniture we own. And craigslist can be very frustrating and time-consuming. I spent a lot of time running the same searches over and over looking for some very specific item I wanted. And I never realized that there was a magic button at the bottom of the screen that would do all that for me. When you click on that magic button, you can save a customized search (including price and whatever other things you want to specify) to a variety of places. I found that it works best when I am running Firefox as my browser. Chrome and Explorer give me weird things. But when you click on it, you should be able to follow the directions to save it wherever you want... I think it can go into a yahoo or google homepage, your links or some other places too. where Google Reader lives. I only know like, 2 people who don't have Gmail, so if you are one of those people this really isn't all that cool. 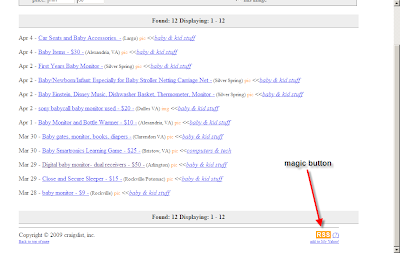 Anyways, in my Reader I have a bunch of searches being run on craigslist. This way I never have to go and check if someone has listed the TV stand I really want. As soon as its listed, I'll see it in my reader. How cool is that? It's greatly facilitated the purchasing of many baby items. Because I didn't need any stuff right away, I was able to patiently wait for exactly what I wanted. And some items sell so fast that this really helped me to find them quickly. AMAZING. Reader also will let you subscribe to blogs (like this one) or other internet places that you check frequently. It puts it all in one spot. It's the coolest thing ever. I only wish I knew about it before. 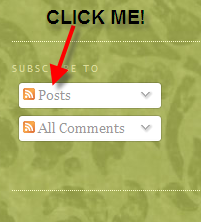 So if you ever see this button somewhere (and I'm sure you've seen it and not realized the treasures it has in store for you) that means that you can click on it and put all that info in your Reader. Just do it.